This site for open access scholarship on American author Henry David Thoreau is part of The Readers’ Thoreau, the online community of Digital Thoreau. Digital Thoreau is a joint enterprise of the State University of New York at Geneseo, The Thoreau Society, and The Walden Woods Project. Wondering why open-access scholarship matters? 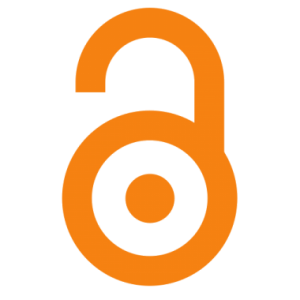 A good place to start learning about the importance of open access is Peter Suber’s short book Open Access (itself available in an open-access version from MIT Press). To begin browsing the scholarship that’s already here, press the menu icon at the upper left of your screen. To comment on essays, conference papers, drafts, videos, and other content that you find on this site, you’ll need to register an account on The Readers’ Thoreau and join the public group named Thoreau Scholarship. You don’t need to be a Thoreau scholar to join the group and join the conversation about Thoreau’s life, works, and legacy by leaving comments on the scholarship that you find here. If you do have scholarly expertise about Thoreau to contribute, you can do that in two ways. To contribute a pre-print or other copy of your published scholarship on Thoreau to our open-access repository, use our Google form. Once submitted, your document will be reviewed for inclusion in the repository. To contribute essay-length scholarship you’d like to make available for comment in CommentPress, join Thoreau Scholarship, return here, and submit a new post for review. Your post will be considered for inclusion on this site, where readers can comment in the margin. Please note that before submitting scholarship for inclusion in the repository, you’ll be asked to confirm that you have permission from the copyright-owner to make your scholarship available. If you’re the copyright-owner, you’ll be asked to indicate the terms and conditions under which others may reproduce or use your scholarship. Register to contribute scholarship or leave comments.